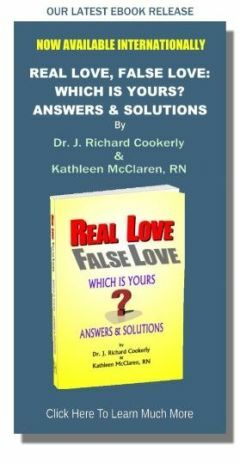 One of over 200 FREE mini-love-lessons touching the lives of thousands in over 190 countries -worldwide! Synopsis: The reader is introduced to Adamant Love and its marvelous force for winning against all manner of difficulties. Adamant Love, it’s purpose, role in achieving victories, force for defense, role in repair and recovery, and empowerment of achievement along with a few drawbacks and its amazing greatness are discussed. The Love You May Not Know About Yet? You most likely have heard of Passionate Love and Compassionate Love but do you know about Adamant Love? It is the form of love that provides the amazing power to save, protect and defend your loved ones and your love relationships against all that threatens to harm them. Not only that, it is Adamant Love that empowers us to strive long and hard to achieve love’s great accomplishments for the well-being of the loved. I capitalize Adamant Love to emphasize its importance throughout this mini-love-lesson. It is Adamant Love that can inspire heroic efforts and prevail against all odds, surmounting even the greatest of difficulties. Whether it is rushing into the burning building to save loved ones, or working tirelessly for decades to find a cure for a loved one’s illness, or just faithfully standing guard to ensure the safety of the loved, it is Adamant Love that has been known to save the day again and again down throughout history. It also is Adamant Love that causes those who love to bravely sacrifice and endure much on behalf of those they love. The purpose of adamant love is to concentrate, increase and channel love’s power toward meeting the challenges involved in the fulfillment of one, or more, of love’s major functions. 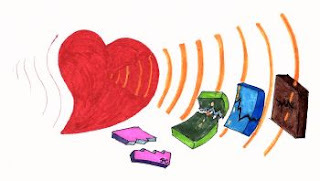 Those functions are 1) to connect us, 2) to nurture us, 3) to protect us, 4) to heal us and 5) to give us the many reinforcing rewards which come with both feeling and doing love (see “A Functional Definition of Love”). Think of the immigrant parents who cross the desert, the sea or the jungle to get their children away from danger and to the chance of a far better life. How about the friend who endures the repeated pain of giving bone marrow transplants so that his best buddy may live? Contemplate the countless lovers who have had to break off their relationships with their disapproving and condemning families in order to be together. Then think of the countless poor parents who struggled for years to put all their offspring through college. The examples of Adamant Love and its many victories number in the millions. And, of course, there are the tragic and ever so painful defeats. But there again, it was adamant self love, along with other love, that motivated rising from the ashes to try again, and yet again, and not let defeat win out. Adamant Love empowers another type of victory. Adamant love flows strongly and consistently in those whose love is altruistic, humanitarian, beneficent and focused on worthy causes involving justice, democracy, equal rights, defending those too disadvantaged to defend themselves and the like. Adamant Love also can be found to be powerfully flowing forward in those who work prodigiously in the advancement of the arts, science, nature, constructive education, positive religion and those advancements and achievements which help us develop to higher levels of healthful living. It must have been Adamant Love that gave rise to the saying “never get between a mama bear and her cub”. That represents a truism, that many loving parents of higher-order species will adamantly do just about anything it takes to protect their young. That also is true regarding defense of mates, and families and larger groups of a good many species, including humans. For love of country, or clan, or tribe, or family, or spouse, or offspring or even pets, Adamant Love fuels and pushes all sorts of different, complicated and sometimes very long-lasting guarding, protecting and defending behaviors. Adamant Love brings bravery, steadfastness, willingness to endure pain and risk harm and sometimes even life itself in defense of the loved. A lot of repair and recovery from illness, injury, stress, strain, drain and addictions takes a long time. Therefore, those who love someone who is working to repair and recover must oftentimes stay in their assisting roles for long periods of time. Sometimes they must endure hard challenges, setbacks, discouraging prognoses, slow improvement and all sorts of other problematic factors. If it were not for the flow of Adamant Love empowering their ability to doggedly and determinedly keep at it, a lot of loved ones would not repair or recover as fast, as well or even at all. Then there is the agonizing questions of knowing when to quit and how to recover from the draining effects of loss and failed efforts. That is when healthy self-love applied adamantly can be so useful in the recovery of loving helpers. A family goes in together to start a new business. Another couple agrees that one of them will work while the other goes to school for a professional degree and then they will trade places. An individual in healthy self-love gets determined to escape his or her dire circumstances and make a better life. Another individual becomes dedicated to helping others via becoming a health professional. As they work toward achieving their sundry goals, roadblocks, reversals, unexpected difficulties other serious problems may arise. With the difficulties come questions. Who will survive and achieve their goals and who will be defeated? Where will the power to surmount the difficulties come from? Will those in love relationships last intact or will those relationships become seriously damaged or destroyed by defeat? Couples who share strong, Adamant Love, families with mutually committed and supportive Adamant Love, friends functioning as comrades with mutual, Adamant Love and individuals with Adamant, healthy Self-love are the ones most likely to persevere and achieve their goals. Without sufficient Adamant Love they all are more likely to give up sooner, be less creative in problem-solving and have and provide less of the energy required to achieve success. I saw this time and again when treating recovering addicts, their mates and their family relationships in a tough love, addictions recovery program. It required tremendous, Adamant tough Love for spouses and family to stop trying to help in ways that ended up harming their addicted loved ones. They did this harmful helping out of compassion for their intensely suffering loved ones by trying to rescue them in ways that almost always backfired. It was Adamant Love that enabled them to stick with the program of saying “No, I won’t help you in ways that harm you anymore”. Later it was Adamant Love that helped the addicts stick to working their own programs of achieving and maintaining recovery. I also have seen the Adamant Love of several of my therapist mentors and colleagues achieve great and amazing healing successes. I will mention just one. This therapist worked for six years, frequently on his own time, to help a mute child who had been horribly, parentally abused by repeated cutting, hot iron branding and continual starvation until being rescued by child protective services. The child was considered hopelessly psychotic. This very loving therapist adamantly would not give up on her. In her fifth year of treatment, with a raspy voice, she whispered her first words which were “I love you too ”. Progress was rapid after that and today, years later, she is, amaze amaze, a nurse at a children’s hospital. Such are the miraculous victories of steadfast, Adamant Love. It is indeed Adamant Love that can provide the toughness necessary to meet the challenges of hard to accomplish achievement. When we adamantly love, we often discover a river of power within us that enables us to, sometimes creatively and often surprisingly, attack problems, break through barriers and remain dedicated while others would surrender to the obstacles. It is Adamant Love that provides the muscle when muscle is needed for “winning the day”. Adamant Love can have some drawbacks. It occasionally can assist us in being too stubborn, too narrow of focus, and too exhausted and depleted for our own or anyone else’s good. Adamant Love can be confused with destructive, obsessive-compulsive dependency and fear-based, relational attachments whose bases are not in love but in insecure feelings of personal inadequacy or sometimes malfunctioning neurochemistry. Nevertheless, Adamant Love’s attributes far outweigh its drawbacks and deficiencies. It is Adamant Love that motivates taking stands and moving us to conquer the anti-love and love-negative forces that may hold sway in our world. Think of a mighty river and the many ways it can flow. It may flow placidly across the plane, or leap and tumble through rapids, or cascade over high falls, or just roll mightily on as a great force of nature. The river is love and Adamant Love is one of its many ways of great and forceful flowing. This form of flowing love is not to be confused with more static terms like kinds of love i.e. romantic , family, true friend, self, etc. or types of love i.e. altruistic, companionate, unrequited, spiritual, etc.. All those categorical concepts have their value. However, they do not lend themselves to revealing much of the dramatic dynamism and powerful, varying dynamics of Adamant Love. Adamant Love is seen as a naturally flowing, powerful, systemic forceful form which the River of Love can take on. Adamant Love is not much written about or researched but we think the reader may agree there is much evidence that it exists as the basis of many of love’s most heroic and astonishing victories. Throughout human history, Adamant Love arguably is the dynamic form of love most responsible for and involved in many of human kind’s greatest achievements. It is the flowing form of love for which the words resolute, steadfast, tenacious, undaunted, valiant, stouthearted, lionhearted and heroic are most applicable. Along with compassionate and passionate love, Adamant Love is seen as worthy of considerable attention and cultivation. When life gets really difficult, it is the great, forceful form that love takes which time and again, and against all odds, wins the day. Now, here is my suggestion. Talk over this mini-love-lesson and its ideas with one or more others, and while you are at it, maybe recommend this site to them. Remember, “love feeling is natural, love doing takes learning” so help spread the love learning. ♥ Love Success Question: In what area of your life might it be wise for you to get more determined to apply your love adamantly?